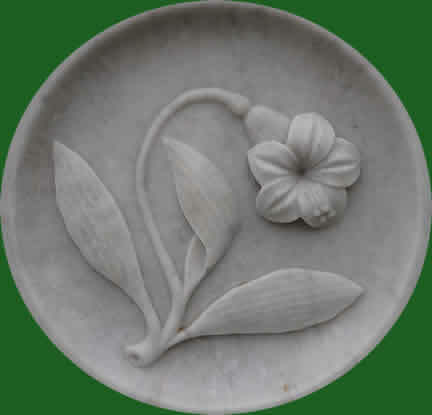 Latitude: 33.07451830, Longitude: -83.22883875 -- See location on Google map. s/o E. S. and Annie Morris Vinson, per Union Recorder, Oct 13, 1938. 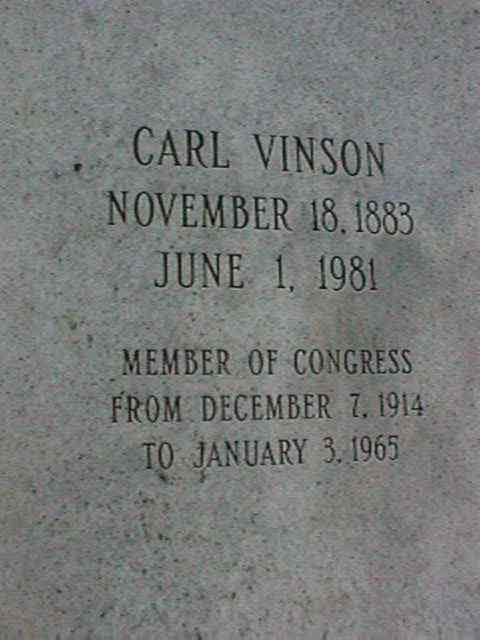 Carl Vinson served in the US Congress for 50 years as a representative from the 6th District of Georgia. He was Chairman of the Naval Affairs Committee in 1931 and the Armed Services Committee at its inception. He is credited with being the father of the "two ocean Navy" because he was responsible for establishing the Pacific Fleet during World War II. 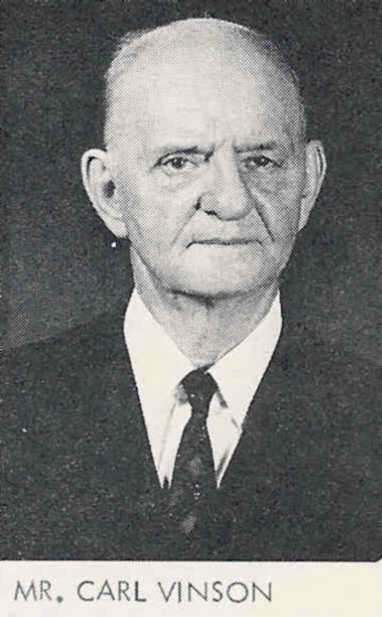 Vinson retired in 1964 and moved back to Milledgeville. At that time President Lyndon Johnson awarded Vinson the Presidential Medal of Freedom. An aircraft carrier, the U.S.S. Vinson, was named for him: the first time a vessel was named for a living person. Vinson Massif, the highest peak in the Antarctica, is named for him.